Our Parent and Me class is for children ages 0 to 3 years and their parent(s). They focus learning on rhythm and basic-and-creative movement to Ukrainian music. Sonechko dancers are ages 4 to 5 years. Sonechko means “little sun” as these children bring sunshine everywhere. They focus learning on basic Ukrainian dance steps and technique with an emphasis on building rhythm. Metelyky dancers are ages 6 to 7 years. Metelyky means "butterflies" as these children are high-spirited. 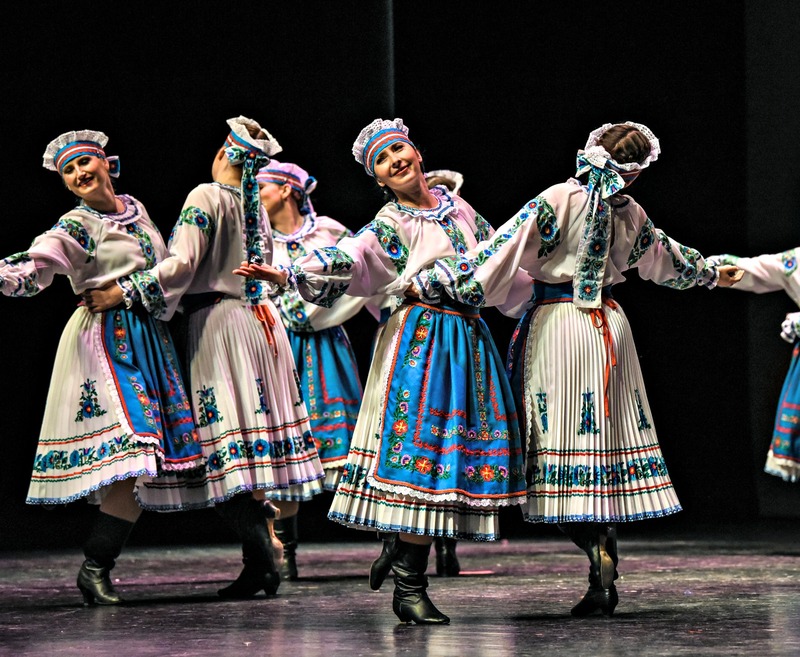 They focus on learning Ukrainian dance steps, starting with technique and character training. Promeen dancers are ages 8 to 9 years. Promeen means "ray" as in a ray of sunshine or a rainbow. Their beauty is wonderful! They focus on learning Ukrainian dance steps, starting with technique and character training and advancing with their age. Kalyna dancers are ages 10 to 11 years. Symbolic of Ukrainian culture and tradition, a Kalyna is a tree bearing white blossoms in the spring and red berries in the fall. Its common English name is Guelder Rose. 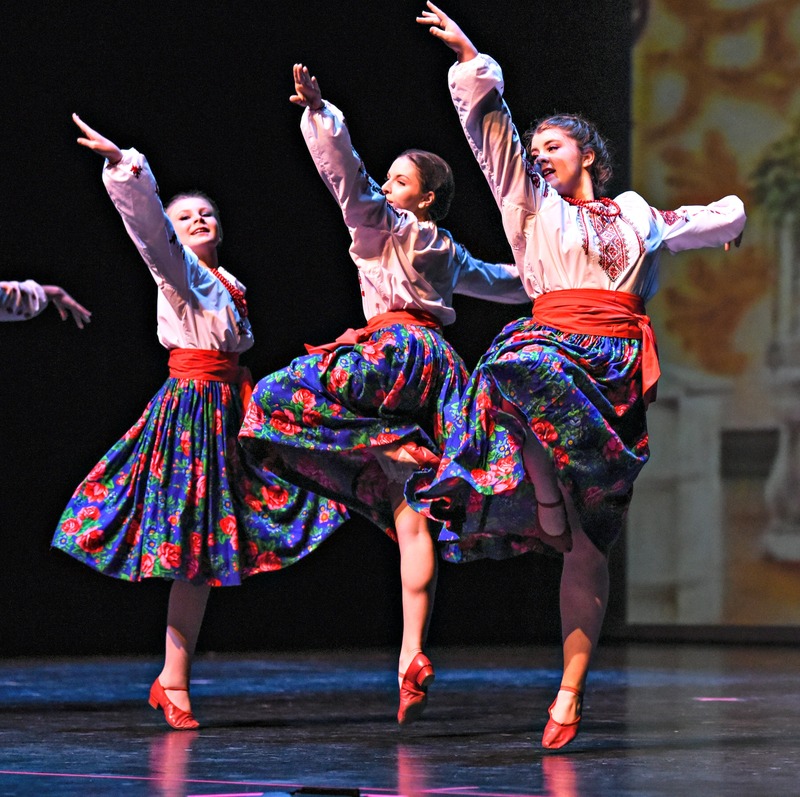 Its symbolism of beauty is fitting for these dancers as they begin to refine their Ukrainian dance technique and character training. Barvinok dancers are ages 12 to 13 years. Barvinok is the evergreen Periwinkle and is used in Ukrainian culture and in dance steps to replicate weaving. 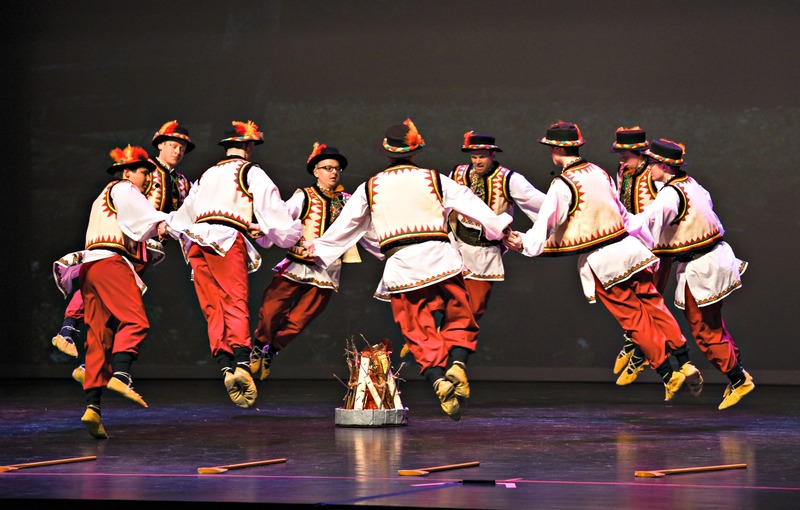 Barvinok dancers imitate its meandering patterning in their movement while focusing on their further development of Ukrainian dance steps, technique and character training. Volya dancers are ages 14 to 16 years. Volya means "freedom", fitting for the free-spirited nature of teens. 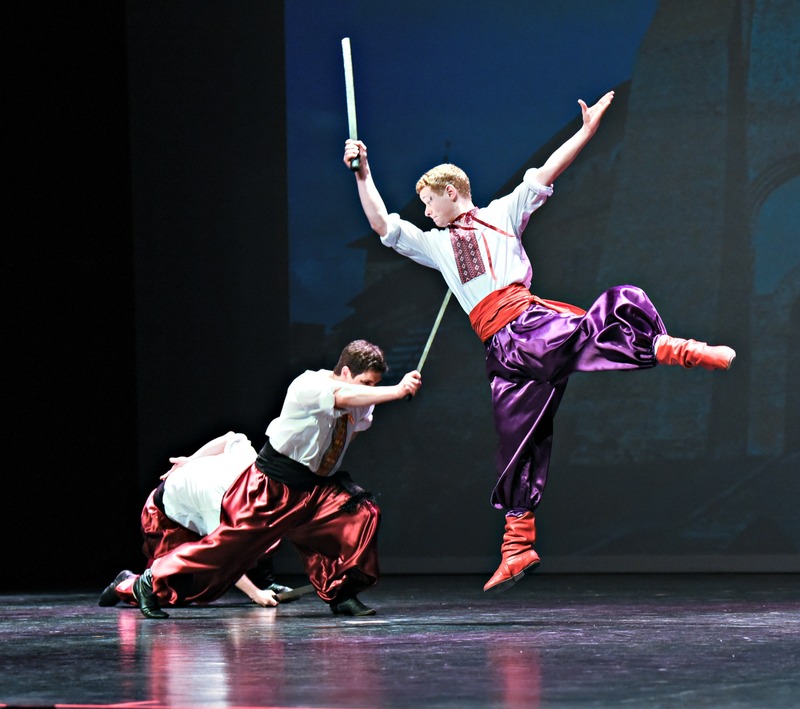 Volya dancers focus on learning Ukrainian dance steps, routines and etudes, with a strong emphasis on technique and character training. Veselka dancers are ages 15 to 17 years. Veselka means "rainbow" and was the original name of Chaban in 1980. 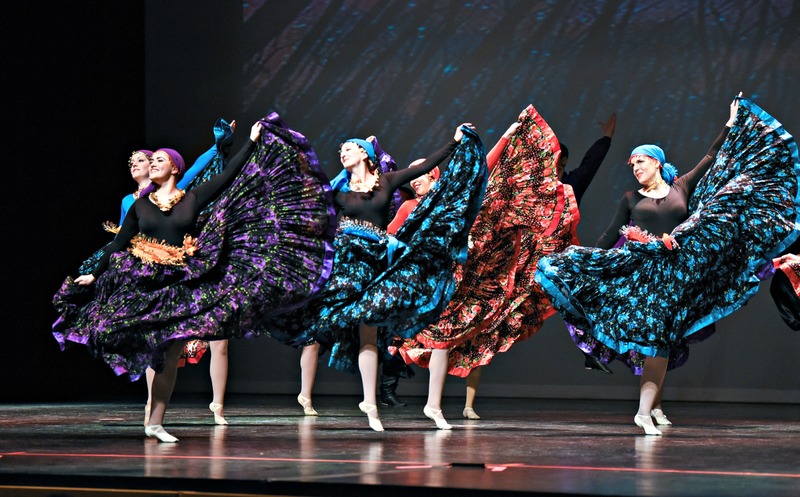 These dancers focus on more challenging Ukrainian dance steps, routines and etudes, while integrating character and technique. Veselka dancers both rehearse and perform with Chaban’s Ensemble dancers. Ensemble dancers are ages 17 years and up. Previous dance experience is required and auditions may be necessary. With a background in technique and character training, they advance to learning multiple regional dances of Ukraine that are performed locally and abroad. 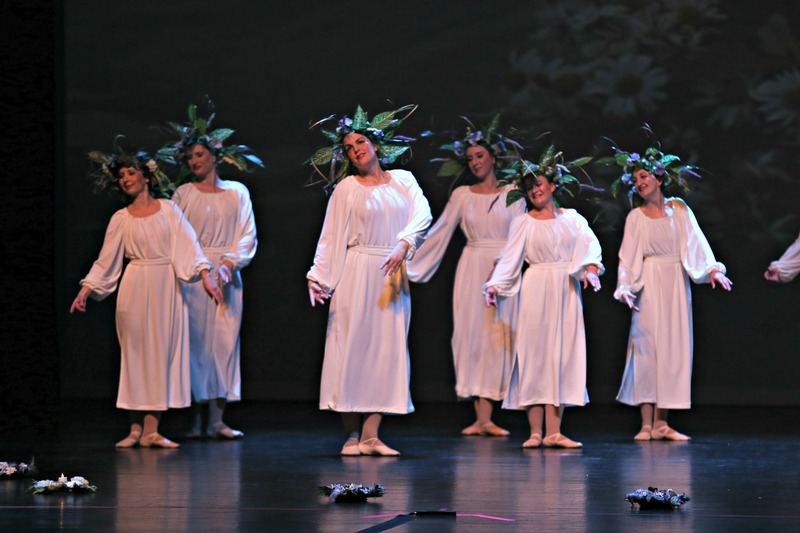 Ukercize dancers are adults who want to exercise through Ukrainian dance. They are either retired dancers wanting to rekindle their love of dance or adults who want to learn and perform Ukrainian dance. Experience is not required. They focus learning on basic Ukrainian dance steps and technique. Adult Male dancers are adults who want to exercise through Ukrainian dance. They are either retired dancers wanting to rekindle their love of dance or adults who want to learn and perform Ukrainian dance. Experience is not required. They focus learning on basic Ukrainian dance steps and technique.